Donorbox begins 2018 with some huge new features to help make this year’s fundraising even better. Such is life, with our Apple Pay launch, there is are good news and bad news. 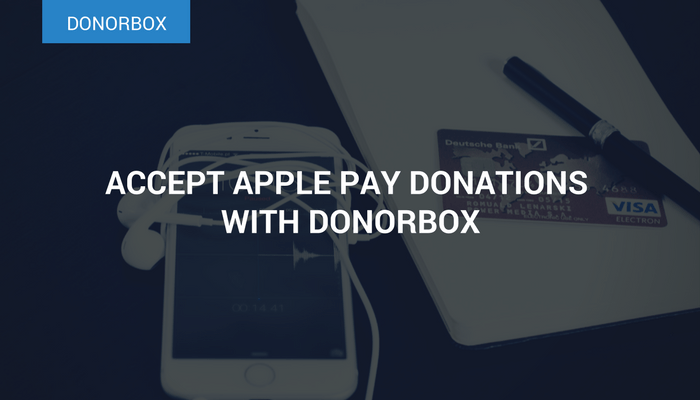 The good news is that all hosted donorbox.org/campaign pages are now Apple Pay-enabled! 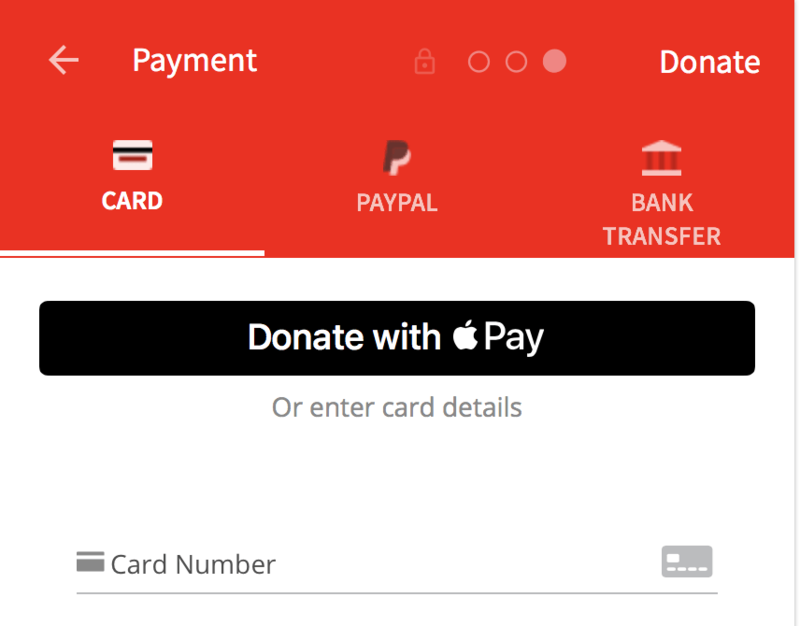 Yes, you can make one-time and recurring donations with Apple Pay your hosted donation pages. Unfortunately, there is also a bad news. Due to Apple’s strict domain matching security measure, Apple Pay will not work on forms embedded in your website and popup modal form. Donor goes to your donorbox.org/campaign page then move to the payment tab. 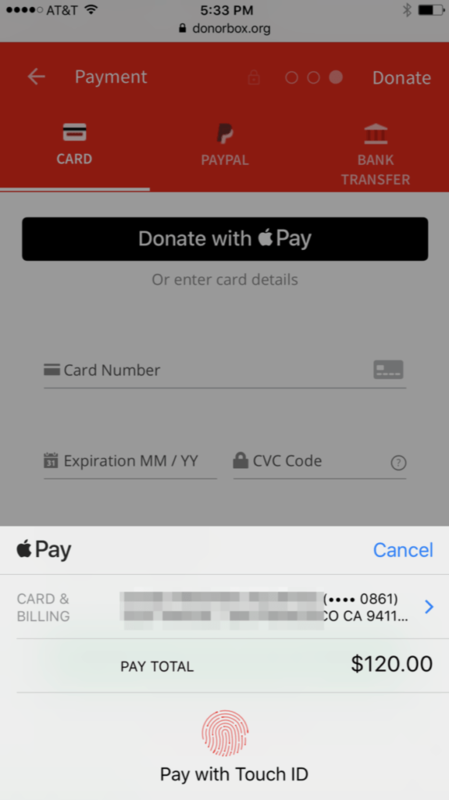 A “Donate with Apple Pay” button will appear. When she taps the black button on her iPhone or Safari browser, the Apple Pay prompt will display with the cards saved in the Apple Wallet. As you can see, the donor can pay quickly with her fingerprint or face unlock in a few seconds. No need to enter the card numbers! Still, we understand it must be frustrating not being able to use Apple Pay on your embedded or popup forms. We hope Apple can lift their domain matching restriction in the future. At the meantime, Donorbox will look for ways to improve the design of the hosted donorbox.org/campaign pages so you will be encouraged to use it more.